Google Home just launched in the U.K. last month, several months after we in the U.S. had been talking to ours. 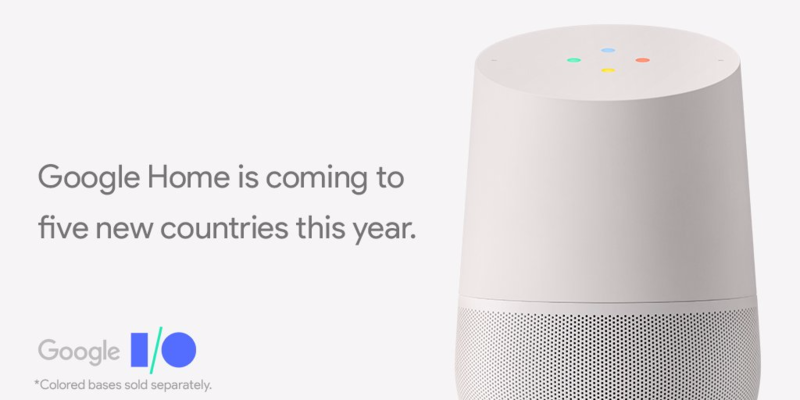 Continuing the international rollout, Google has announced that Home is going to reach five new countries by the end of this summer: Canada, Australia, France, Germany, and Japan. Soon all of you in those countries will be able to chat away with Assistant in your living room (or kitchen or wherever). With multi-user support continuing and a whole bunch of new features being added, I'm happy that more people can jump on the Home bandwagon. It's kinda fun. I/O presses on and so do we. Stick around for more Google-y goodness.